R&D | 3DSystems - Orlas CREATOR – ATO Lab – Drukarki 3D - 3D Lab Sp. z o.o. 3D Lab R&D offers a broad range of processes and additive manufacturing technologies for 3D printing service. We use every professional and production AM method including SLS, SLA, SLM (Direct Metal Printing), CJP, MJP and µSLA. Our experience in 3D metal printing allows us to build parts with exceptional precision. We offer short production series of remarkably precise titanium prints with a layer thickness under 10 µm and smallest possible product wall thickness of 70 µm. In addition to 3D printing services, 3D Lab offers a wide range of reverse engineering solutions, including computer tomography, 3D scanning and digital object reconstruction. We use high-quality tomographs, which allow for highly precise imaging of the internal structure of materials, with a maximum resolution up to 100 nm. We understand that each product has its own unique set of characteristics. Our experts prepare individual quotes based on customer expectations. 3D Lab supports its clients during each stage of project realization – from file preparation, through the choice of the right production method up to the selection of the best available postprocessing method. 3D Lab offers a range of services, such as the preparation of material expertises, characterization of feedstock, test prints and finished products – especially the quality and chemical purity of offered powders and mechanical properties of materials. Based on customer’s request, we will also be glad to provide precise data pertaining to corrosion properties of the material and its biocompatibility via cell assays. We provide services related to process parameters optimization in metal 3D printing, both from commercially available materials and alloys prepared to order. We also offer improved postprocessing methods to ensure smooth surface finish and thorough support structure removal. Thanks to the wide scope of cooperation with leading scientific institutions, we can provide comprehensive services in the creation of material data sheets for novel alloys. 3D Lab use new generation atomization system ATO One for metal powders production. Our offer is dedicated for R&D departments of AM suppliers, small and medium size enterprises, powder producers and scientific institutions. ATO One is capable of processing both reactive and non-reactive metals, such as steel, titanium or aluminium alloys. 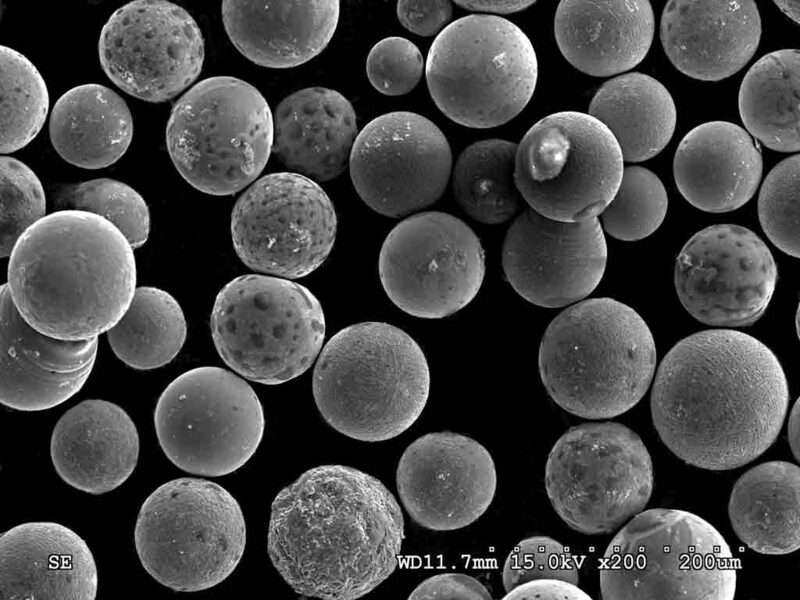 It is capable of producing powders with medium grain sizes within the range of 20 to 100 µm and narrow grain size distribution. The main advantages of our ATO One atomization system are: high powder quality, fast order processing, no limitations in minimum powder quantity, process flexibility and competitive price.